Happy Birthday to Perth’s STW Nine which turns 50 years old today. The licence to operate Perth’s second commercial station was awarded to Swan Television in February 1964. Among the shareholders in Swan Television was Ansett Transport Industries — the company which had been awarded the licence to operate Melbourne’s third commercial station, ATV0, and which also had a financial interest in the successful licence bid to launch Adelaide’s third commercial station. After gaining its licence, Swan Television established its new channel STW9’s studio complex, a single-storey structure comprising three studios, a large audience foyer and a staff cafeteria. The construction, designed by Perth architects Howlett & Bailey, was estimated to have cost £190,000 with an additional £400,000 spent on equipment. By the time it was launched in June 1965, STW had a staff of 100 — including radio and stage actor Walter Pym, who was appointed station newsreader and interviewer, and on-air presenters including Audrey Barnaby, Alan Graham, Peter Harries and Jeff Newman. After a series of test transmissions, STW9 made its official debut on Saturday, 12 June 1965. The first program, Montage Of Perth, was a pictorial of the city of Perth, then boasting a population of around 500,000. The program was followed by the official opening of the channel by West Australian Premier David Brand at 5.55pm. The telemovie The Cowboy And The Tiger and The World’s Greatest Showman — the biography of Cecil D deMille — took viewers through the evening before a screening of TV Spells Magic, the musical special produced for the opening of Sydney’s TEN10 a few months earlier. The channel’s first news bulletin included a replay of Premier Brand’s opening night speech and was followed by All My Eye And Betty Martin Too, a topical comedy show hosted by local personality Buddy Clarke. The final program of the night was the film Guys And Dolls, starring Jean Simmons, Frank Sinatra and Marlon Brando. Launching with a schedule of around 44 hours of programming a week, STW9’s program line-up included imports The Addams Family, Bewitched, The Bing Crosby Show, Daniel Boone and The Dinah Shore Show. The arrival of STW9 in Perth was finally some commercial competition for TVW7, which had launched almost six years earlier. With two local channels now competing for “national” programs, both TVW7 and STW9 entered into a joint venture for the purchase of programs from the eastern states. The new company, TV Facilities, helped ensure that program prices would not skyrocket with eastern states networks now spruiking their programs to a competitive Perth market. Through the TV Facilities arrangement, STW9 would have access to 50 per cent of the programs being bought from over east, with TVW7 having the other half. The distribution of programs between the two channels was decided often by a simple coin toss. But despite having access to half the programs purchased by TV Facilities, STW9 was still at a disadvantage up against TVW7 — which as well as having 50 per cent of TV Facilities acquisitions still had access to program deals it had stockpiled over the previous six years. TVW7 had also firmly established itself with a strong local presence prior to Nine’s arrival, with a range of local news, children’s and entertainment programs that made it difficult for Nine to gain a proper foothold, even though Nine launched with local news and programs of its own — including variety with The Jeff Newman Show, teenage music show Pad 9, children’s show The Channel Niners Club and All My Eye And Betty Martin Too. 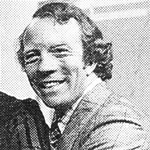 The channel later scored a coup when it signed up newsreader Lloyd Lawson to move across from Seven — starting what would become a frequently changing line-up of news presenters at the station over the next 50 years. Some of the names to appear at the STW9 news desk over the years include Alan Graham, Peter Dean, Peter Barlow, Noel Watson, Russell Goodrick, Peter Waltham, Anne Conti, Liam Bartlett, Tina Altieri, Terry Willesee, Greg Pearce, Peter Holland, Dixie Marshall, Sonia Vinci and current presenters Tim McMillan, Louise Momber and Emmy Kubainski. In the early 1970s STW9 made a bold move into drama production with the series The Drifter, starring Alan Cassell. It was a rare occasion to have a TV drama series produced outside of the traditional Sydney and Melbourne markets. Variety show Spotlight earned STW9 its first Logie in 1971, and children’s character Flapper the Elephant became a regular station mascot. Jenny Clemesha (now Jenny Seaton) went from children’s programs to host the morning show and present the weather. She collected a number of Logies for her popularity with Western Australian viewers. 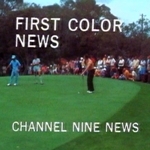 In November 1974, STW9 produced Australia’s first complete TV news bulletin in colour. The following year saw the launch of Appealathon, STW9’s annual fundraising telethon. By 1979 the appeal was raising over $1 million in donations each year. In 1978 STW9, which with TVW7 had resisted formal connections to any of the eastern states networks, took the plunge and affiliated to the Nine Network. The change saw STW gain direct access to the Nine Network’s program inventory without risking certain shows going to TVW7 under the TV Facilities arrangement. The change came at a time when the Nine Network was on a ratings climb with World Series Cricket, The Sullivans and new shows over the coming years including 60 Minutes and Sale Of The Century. The channel’s daytime ratings also benefited with the adoption of The Mike Walsh Show, which it secured after a legal battle with TVW7. For the first time STW9 was offering a formidable challenge to the local dominance of Seven. During the 1980s STW9 claimed Perth’s first one-hour news bulletin and was the first station in Perth to broadcast 24 hours a day, 7 days a week. 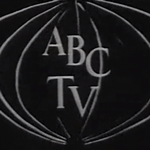 Local programming included the weekly variety series Perth’s Young Entertainers, the Summergirl beauty contest and the continuing annual Appealathon. Mining and brewing magnate Alan Bond bought STW9 in 1984 for just under $50 million. 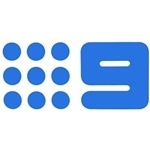 With STW9 and investment in Nine’s Brisbane station QTQ9, Bond had the resources to launch Australia’s first satellite-delivered TV station, Sky Channel, broadcasting sports coverage and music programming direct to hotels and venues across Australia. Changes in media ownership laws led to Bond having to sell STW9 in 1989 to regional TV operator Sunraysia Television. 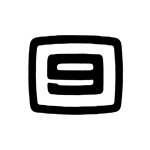 Sunraysia then sold STW9 to WIN Corporation in 2007. 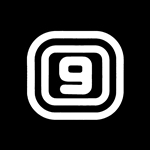 In 2013 the channel was sold by WIN to Nine Entertainment Co, owner of the Nine stations in Sydney, Melbourne, Brisbane, Darwin and Adelaide. Former Network Ten executive David Mott returned to his former home town to become managing director of STW, leading a number of initiatives aimed at boosting the channel’s profile. 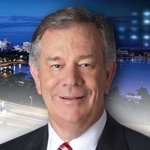 Part of Nine’s increased local commitment includes a morning news service broadcast during the Today program — a move which has since been emulated by rival Seven‘s Sunrise. In 2016 STW will move from its original premises in Dianella to a new facility being developed in the Perth CBD. The recently late Alan Bond being somewhat topical. West Australia feels a little disconnected from the eastern cities of Australia. In some ways through your excellent post, I see why. Hi Audrey. Thanks so much for your comment and to fill some of the gaps. Fantastic to get feedback from someone who was there! The channel launched in 1965 but was licenced in 1964. 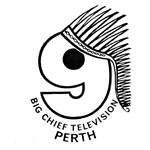 Well Ch.9 was always there as long as the rotary channel selectors could be switched to it, but Station STW-Perth only existed from June, 1965(officially). Channels don’t exist in the physical sense. They are merely chunks of spectrum, generally 7Mhz wide(digital or VHF analogue) or 8Mhz wide(for the old UHF analogue). A station, however, does exist in the physical sense. STW’s studios are taking shape in the Perth CBD and will house all the staff in all divisions, all archives and equipment needed to run a TV STATION whilst Ch.9 is out there in the ether! Wednesday Dress-Ups, a TV Dentist, a TV Naturalist, Xmas Pantomimes and many other regular features filled many hours of live TV. Lovely to have your comments Peter! Hope I’ve done the channel some justice.